A financial superbrand requires refined and sophisticated investor communications. 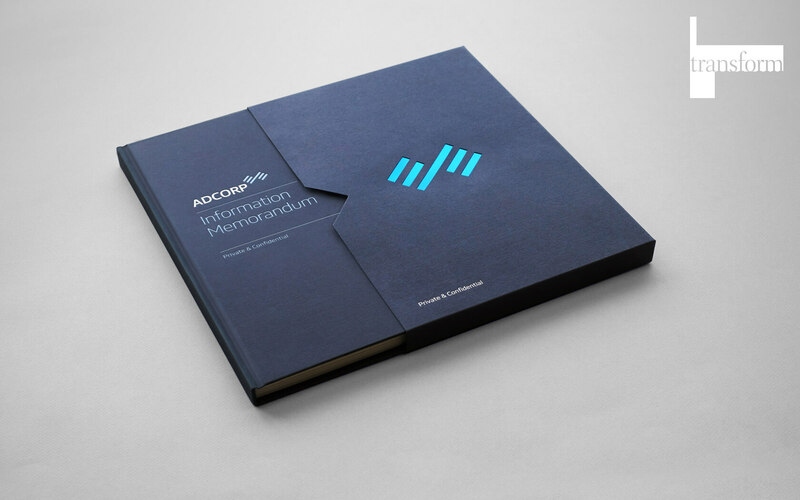 Your annual report is the visual representation of your previous performance. If it was a bad year you'd better wear newsprint. The 2016 financial annual report GFH Financial Group is the third annual report we have produced for the firm since rebranding them in 2013. The firm required us to work with a theme based on their strategic direction – diversification. After a few initial creative discussions we found ourselves in some new creative spaces which enabled us to formulate a new visual language for the brand’s report. The creative strategy was based on the concept of ‘Progressive Diversity’, which captured the essence of the brand’s movement from a Real Estate financial house to a highly diversified financial group. this was expressed on the cover by way of a progressively transforming visual device which was based on GFH’s 5th element. This simple geometric visual element was then red foil stamped into a textured premium paper stock to create a high impact and highly tactile cover which screamed ‘pick me up’ to anyone who came close. The final solution is almost identical to the original presentation proving how closely the creative team managed to interpret GFH’s vision even though it was an ‘open’ brief. The work was delivered over 4 months and included graphic design, information graphics and extensive creative copywriting. Available now from the GFH or you can download a digital copy here. The result of our continued relationship with GFH is one of GFH’s most accomplished reports so far and of course, most importantly, a very happy client. The work speaks for itself interns of presenting GFH as a highly diversified financial group and one that had enjoyed a good year in business. To check out GFH’s other annual reports for 2014 design click here. To know more about Bahrain’s leading investment group GFH, click here. Strategy, Project Planning, Copywriting, Print Design, Information Graphics. 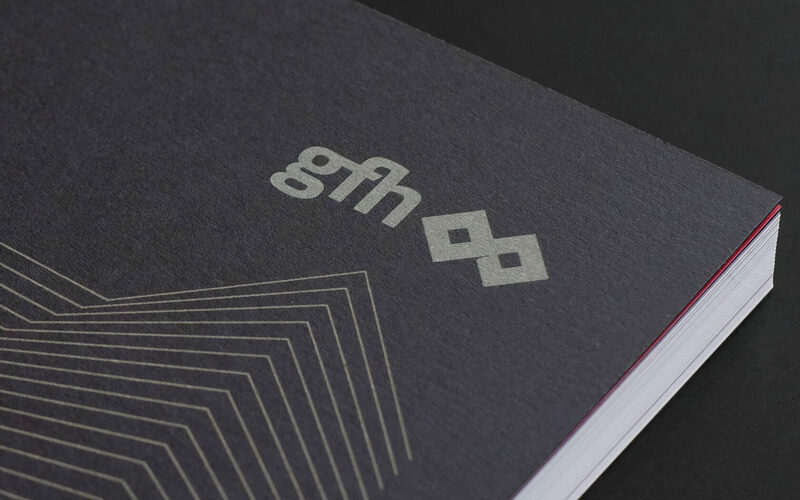 A slick new annual report for GFH features premier papers and classy typography throughout. 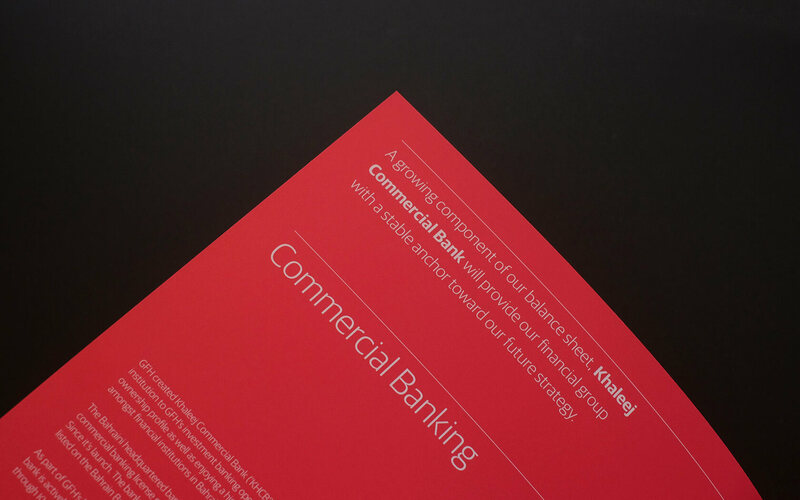 Award winning collection of bespoke printed works for this regional banking brand including a corporate profile and reporting system. Our work on this clean, minimal and sophisticated brand strategy, identity design and collaterals for recently launched Abu Dhabi based investment bank has won Bronze at Transform MENA Awards 2017. We're very proud of it. 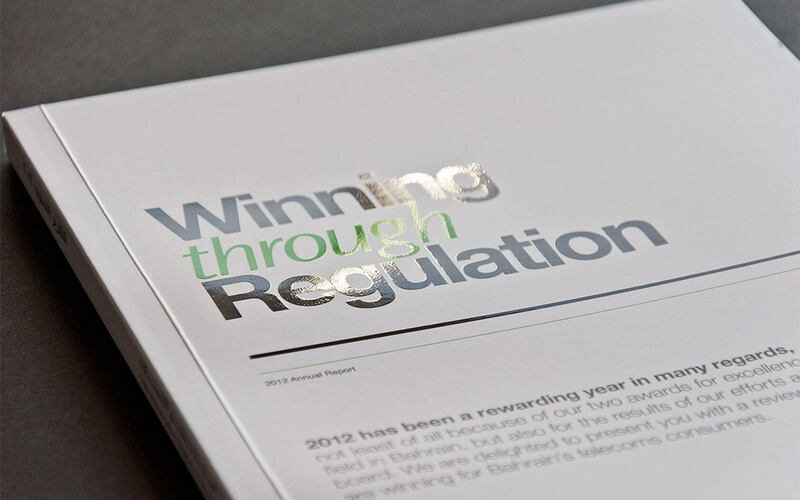 TRA commissioned Unisono to create their annual report in 2012. The end result is this beautifully typeset creation.